We're a preferred community partner for small businesses. The Bank of Elk River is a certified SBA Preferred Lender, meaning our experienced team of business bankers has been specially selected to help customers with financing offered by the U.S. Small Business Administration. 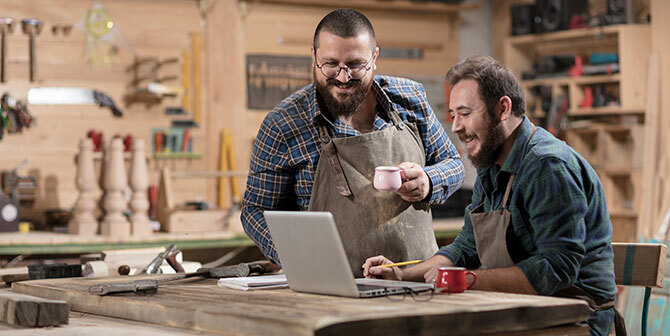 SBA Loans can be used for a variety of purposes and provide great assistance for growth and expansion opportunities, making them an ideal option for many different businesses. Aggregate loan amounts with SBA can span up to $5 million and can improve cash flow with longer loan maturity dates. The 7(a) Loan Program is a great program for larger projects such as business acquisitions or business expansions. Program funds can be used for a variety of purposes, making it an ideal program for multi-faceted projects. CAPLines program loans are designed to help businesses meet their cyclical working cash flow needs. A variety of sub-programs are available to assist with seasonal inventory purchases, contract costs, property construction, or larger working capital lines of credit. The SBA Express program is for smaller loan requests (less than $350,000) with streamlined application and credit underwriting processes. Revolving lines of credit are available under this program. The 504 Loan Program requires less equity for down-payments and offers longer maturities with longer term fixed rate options. These loans can be used to purchase larger pieces of equipment or real estate.